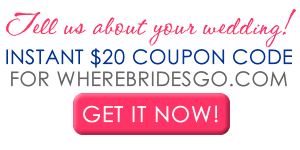 Featured Nashville Wedding Invitations- LIST YOUR BUSINESS HERE! Design them online, preview, then order! Our D.I.Y. 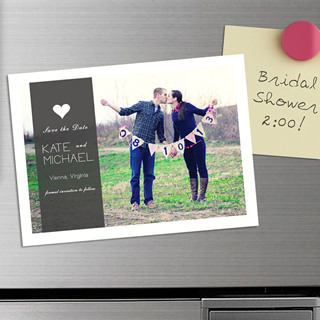 (Do It Yourself) Save the Date Magnets are an absolutely fabulous way to ensure that all your guests will have your wedding date set aside! These perfectly sized magnets - personalized by you - will look great displayed on all your friends and families' refrigerators, creating a daily reminder of your well anticipated day! Sold in white, easily printable sheets. Available from WhereBridesGo.com! From outdoor ceremonies to destination weddings, these fun accessories are easily one of the wedding industry's leading invitation and stationery items. And because each kit comes with a complimentary CD of designs, brides can choose to edit one and make it their own or start from scratch for a wedding day original. 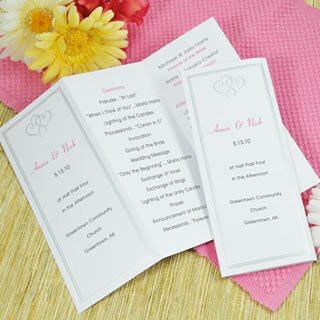 It's truly up to you and will leave your guests with a breezy attitude for your beautiful day! Perfect for the do-it-yourself bride, our printable invitations are fun and easy. Available from WhereBridesGo.com! Give your guests a stylish way to cool off with our DIY Circle Fan Program Kit. 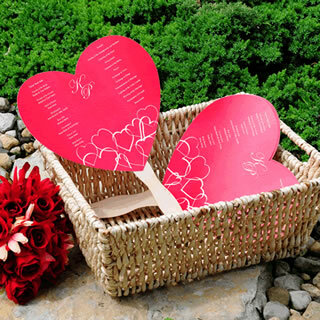 These fans are sure to impress all of your wedding guests! Accompanied by a complimentary CD packed with pre-designed templates, you are bound to find the perfect design to make your ceremony all the more special and unique. With easy to follow instructions this kit is perfect for every bride to really showcase her creative side. Available from WhereBridesGo.com!